Back pain is a widely common problem and most if not all of us will experience back pain at some stage in our lives. 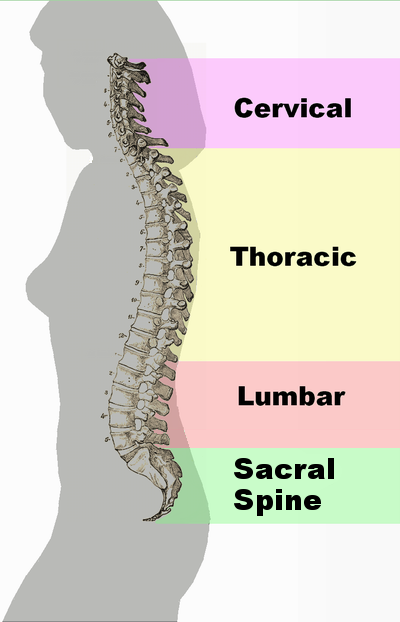 Causes of Back Pain and Sciatica. Poor working ergonomics: Sitting in a non-ergonomic chair. Poor posture: Hunching forward or learning back in chairs. Stress: Tense muscles can trigger back pain. Sitting for long periods: Unnatural extended periods of sitting can put strain on your back. Obesity or being overweight: Additional weight and strain places on muscles and back. Lack of exercise: Leading to weak back support muscles. Prevention is always the best approach, always be very conscious of your posture especially when you are sitting and standing and recognise that diet plays a key role in back pain and sciatica. Keep your body balanced and flexible with the right exercise program for your level of health and fitness and get regular massage from someone who can help you maintain this balance. In general terms most back pain results from an accumulation of stress in the body from physical, emotional or chemical imbalance. This includes a combination of one or more of them. When you overuse an area of your body affected by this stress you cause muscle fatigue or spasms, then irritation, inflammation and pain. It is important to know yourself well enough, so that you can identify the causes of your stress and learn how to deal with them on a day to day basis. Regular exercise: 30 minutes of moderate exercise daily can strengthen support muscles reducing or eliminating back pain caused by poor muscular support. Proper lifting practises: Lifting from your legs rather than bending your back. Maintaining a healthy body weight: Excess weight will put strain on your back and spine. Maintaining proper posture: Being aware of your posture can help you straighten your back and reduce strain. Regular breaks: Regular breaks will change the position of your back and spine loosening your muscles. Lower Stress: Tense muscles place strain and physical stress on your body and spine. Bed : Sleeping on a bed that is to hard or to soft can shift weight inappropriately causing back pain. When you hurt your back don’t waste time and money with treatments that don’t work. If the therapist or doctor knows what they are doing, the results should be fast and lasting, and when you find the right solution follow the program and don’t try to cut corners or jump between therapists. Take a pro-active role in your recovery. For the best results, get a good understanding of what is wrong with your back and seek out the right treatment for YOU. What works for one person doesn’t always work for another. Look at all your options before you make decisions that are going to cost you your valuable time and money and never think of yourself as incurable. It is important to realise there are only a very few therapists out there (one or two percent) who will have a good understanding of your back pain or sciatica and will be able to give you lasting relief from your pain. It is much more likely you will find a therapist who can’t fix you rather than someone who can. If you are like most people you will waste a lot of time and money before you realise that. All back pain and sciatica conditions, whether upper or lower back pain, nerve problems, spine problems, a bulging disc or sciatica problem, will require a full body, holistic approach for a lasting fix. If the therapist you choose doesn’t approach it that way from the start alarm bells should start ringing. It’s a fact you can rely on, exercises and stretching won’t fix a back pain or sciatica problem properly. At best they will mask the pain, covering it up only to return at a later time. The majority of the population, up to 85 percent, will experience some type of back pain at least once during their life. Medical specialists tend to heavily relying on scanning and x-ray equipment as a means to discover the cause of the pain, yet these machines are only able to diagnose around 15 percent of causes. With relying solely on these machines the medical profession are often not able to diagnose the underlying cause of the back pain and lean towards the prescription of pain medication as their preferred method of treatment. The commonly spoken myth that most people who get back pain will get better within 6 to 12 weeks regardless of treatment they receive and even with no treatment at all was dispelled by a recent study published in the British Medical Journal. It found that this myth came about as a result of figures based on the doctor’s appointment book. When the majority of patients go to a doctor for back pain and the treatment does not effectively address the problem, the patient naturally does not return for further treatment. This led the doctors to believe the patient was cured when in fact it was found that even after 12 months’ time had passed only a minority of people reported a full recovery. Back Pain and Sciatica is not an illness as some believe, rather they are the result of a physical, emotional or chemical imbalance in the body that has manifested itself as pressure on a joint or nerve. Often due to overuse this results in irritation and inflammation, and the pain you are experiencing. These back pain problems explained on this site and in more detail in The Self Treatment Program for Back Pain and Sciatica Sufferers. Take advantage of the many free articles, video’s and the book you can download from this site to better understand the real cause of back pain and sciatica conditions. They have all been prepared by an expert therapist with over 25 years of experience and success treating these conditions. Everything you see and read will be logical, clear and easy to understand, leaving you with no doubts or questions. While you study more of the free material on this site, watch my free video on how you can get instant relief from your back pain or sciatica at home right now, or find out more about what to do when you get Back Pain or Sciatica by reading a FREE copy of ‘An Experts Guide to Treating Sciatica and Back Pain’. Everything covered here will be logical and easy to understand and designed to make you knowledgeable enough so you make much better decisions for yourself. Start here.